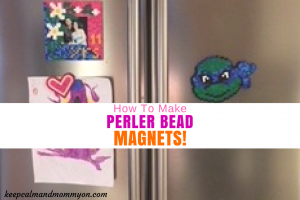 Do your kids love to make perler beads? Are you looking for some great easter perler bead patterns to make? 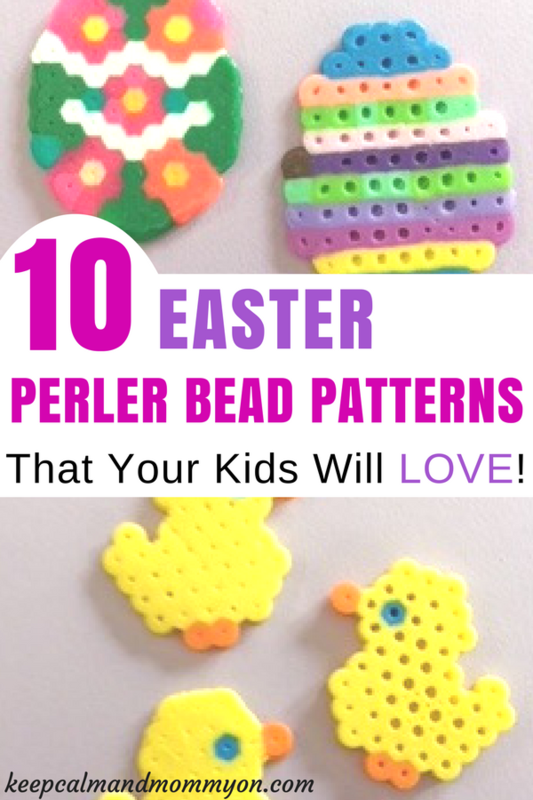 These 10 easter perler bead patters and ideas are super cute and fun to make! 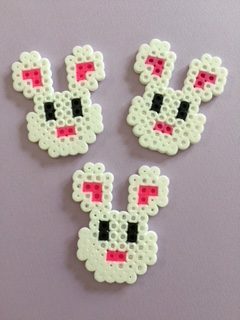 1o Easter Perler Bead Patterns and Ideas! My kids LOVE perler beads! And the crazy thing is that perler beads are nothing new! Perler beads are basically plastic beads that you place on a pegboard to create patterns and designs. To make beautiful perler bead patterns you place the beads on pegboards as mentioned above, and then you cover the design with parchment paper and iron it. Ironing it melts the beads together so that you can remove them from the pegboard, iron the other side, and then have a beautiful perler bead toy! If you and your kids already use perler beads then you know how much fun they are. If you aren’t, then you really need to start! They are not only a fun, but an educational craft! Because they require concentration and precision, they are excellent for helping to develop fine motor skills. Regular perler beads are generally best for kids ages six and up. Although I’m sure some five year olds could do them. For younger kids, they make perler biggie beads! Biggie beads are larger and easier for younger children to handle. They are recommended for ages four and up, but my daughter could easily do them at the age of three. So here are 10 easter perler bead patters and ideas that you should try! These two different easter chicks are some that my kids made for easter this year! When making your perler beads, be careful not to iron them for too long. They will start to spread out and lose their shape if they are melted too much. You can tell by looking at the chicks below that some were melted more than others. I like the look of the perler beads that aren’t heated too much. You can still see the perler beads. Why not make the ultimate easter treat into a perler bead?! 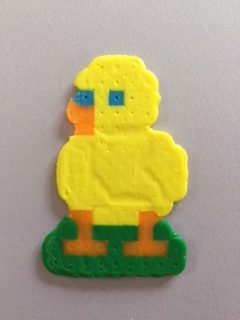 You can find a pattern to make a peep out of perler beads at U-Create Crafts. Ok, everyone loves Olaf from Frozen! You can find a picture of this cute perler bead idea here! Easter eggs are always fun to make with perler beads! You can either follow the simple pattern that we made or be creative and design your own! Not only can you have regular easter eggs, but you can make these super cute easter egg ornaments out of perler beads! 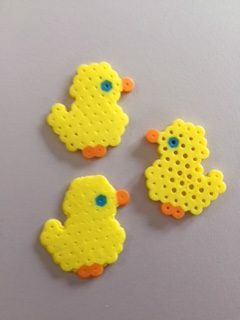 Find out how to make them here on the Perler website. 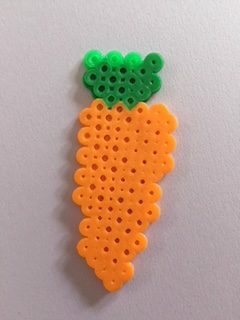 We made our carrot based on the pattern from Perler Bead Patterns. This is such a unique way of using perler beads! I would have never thought of this! You can find a picture and how to make them on the Perler website. And here are the bunnies to eat the carrots! We followed the bunny from And Next Comes L.
Ok, these are just too cute not to include! 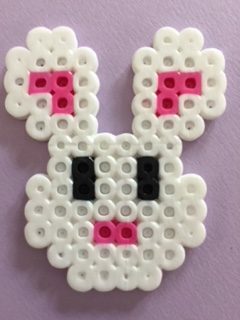 Pop on over to the Perler website and check out this adorable bunny! The Perler website also has a really cute tulip pattern! 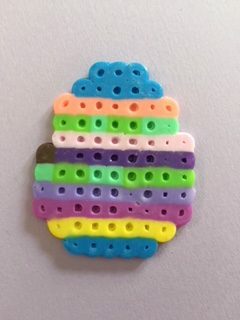 A great easter perler bead idea! Aren’t those adorable easter perler beads?! Leave me a comment below and let me know which ones you make! « Easter Sensory Bin For Toddlers!